Many men tend to downplay illnesses or certain symptoms they may experience, but the fact is that some of these illnesses or symptoms, even the most common ones, could be warning signs of something more serious. It is critical to visit your physician and discuss what you are experiencing or feeling. You should know what you need to worry about since it could be your body warning you about a serious health problem that is looming on the other side of the horizon. Here is a look at 7 warnings signs that you should not ignore. Nose Bleeds: Men usually ignore nose bleeds because they think they know the cause – aggressive nose-blowing, dry air, etc. However, nose bleeds that occur unexpectedly can also be one of the few physical signs of a serious health problem that men face, which is high blood pressure, a condition that affects nearly 8% of men aged between 20 and 34. If you do not check your blood pressure every year, a nose bleed may be a tip off that it is high which should concern you. Sore Knees: It is not uncommon to feel a twinge, tweak, or creak in your knees after an intense activity. But if the ache goes on for more than 2 hours, it may be an indication of osteoporosis. Ruling out overexertion as the culprit is the first step you should take. Do this by reducing the duration of your workout regimen and monitoring the pain in your knee. If the symptoms last longer than 3 months, you may have an underlying musculoskeletal problem. Keep in mind that if you had a knee injury at a younger age, you could be especially prone to osteoporosis. Sore Throat: When men have a sore throat, most try to wait it out, no matter how painful it is or how long the duration is. You should avoid doing this especially if the sore throat changes the way you speak or lasts for more than 3 days. Both these symptoms may be an indication of strep throat and the need to obtain help from a medical professional. If the infection moves deep into your lymph nodes, tonsils, or if the surrounding tissue is filled with pus and cannot drain out properly, it can cause your airways to be blocked. This can make it difficult for you to breathe. A Blister: If you have blisters popping up between your toes as a result of athlete’s foot, you should keep in mind that this is a medical emergency in the making. When a crack appears between the toes due to the blistering, it can be invaded by bacteria and you could wind up in the hospital for up to a week with IV antibiotics being administered to you due to a foot infection. You should make sure that you intercept the fungal infection before it can reach the point of becoming a blister. Focus on your foot at the very first signs of athlete’s foot. If you do not see any improvement after 2 weeks, visit your doctor. A Strange Pimple: Some men tend to ignore pimples, but you should keep in mind that the bump on your skin that looks like an ordinary pimple may actually be a slow-growing form of skin cancer called basal-cell carcinoma. How can you tell the difference between a pimple and a small tumor? There is a pearly appearance when you shine a light on a typical basal-cell carcinoma and you can also see tiny blood vessels entering the nodule at the tumor’s base. If you have a pimple that will not go away, visit a dermatologist and get it checked out. Remember that basal-cell carcinoma is 95% treatable when it is caught early. Leg Pain: Most men find it easy to write off leg pain as soreness or a cramp. But it could also mean that something is wrong with your heart. The first sign of a clogged up circulatory system is not chest pain as most people think but it is rather leg pain. This is because the leg has longer blood vessels that become blocked by plaque quicker, which in turn causes an oxygen shortage to the muscles. Leg pain caused by arterial blockages usually gets worse with exercise as the oxygen demand becomes greater. You should consult your doctor and find out how you can improve your blood flow and take care of your heart. Change in Mole’s Appearance: If you notice a new mole or a change in the way one looks, it could be a sign of melanoma. This is a deadly skin cancer that can strike at any age and many times, it makes its first appearance in the form of unusual moles. If you spend a lot of time outdoors, you should view any changes to your skin with suspicion. You should make sure that you visit your doctor if you see a mole changing color or if you are growing a new one. You should make sure that you do not ignore the 7 signs mentioned above. 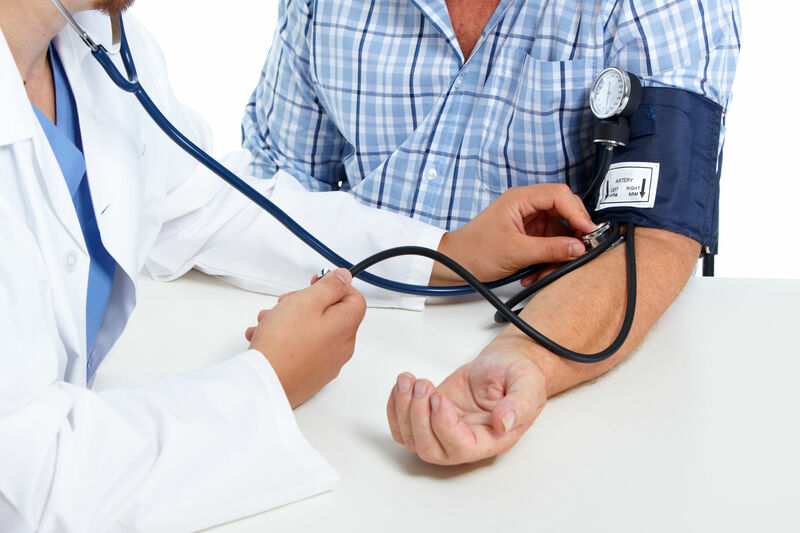 Visit your doctor and make sure that they are not indicators of a more serious health problem. You could save yourself a lot of trouble and prevent a dangerous illness or disease before your life is imperiled.